I lost to Big Sprout in an arm-wrestling match last night. No, I should say, Big Sprout beat me at an arm-wrestling match. The worst part is that I was actually trying. I have had head-knowledge that this day would eventually come, but even expectation has not prepared me for the inevitable. The passing of time is marked well by the growth of our kids. All of my kids seem a lot bigger than they did a year ago. One magical thing about the seasonal lives that we live, is that I can mark the changes from year to year when my husband leaves for his job. This year is no exception, but the growth that has happened seems even more significant than past years. It has been a big growing year for the sprouts. Physically they have all grown close to two inches, but the emotional maturity, which is sometimes harder to measure, has been profound. The transition to life without Pappa Sprout has gone amazingly well this year, and they are recognizing how they can help with him gone, rather than continually show how sad they are. It is a far cry from what this house looked like five years ago when Pappa Sprout left for the summer. 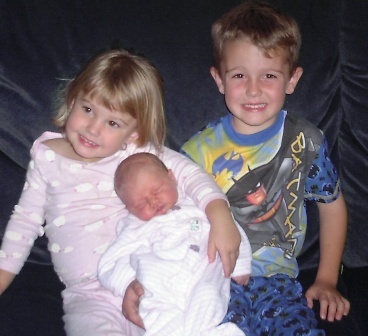 Five years ago, Littlest Sprout was seven months old, Middle Sprout was three and Big Sprout was five. Only Big Sprout was in school, and well, you can imagine what the day looked like with two really small kids at home all day. They didn’t quite understand where daddy was, and there was not an easy way to explain it to them. The daily child-maintenance was intense, and I had not yet found my own niche to de-stress. We were trying to sell a house that we had purchased to fix-and-flip, and I was overwhelmed at times with all the responsibilities. None of the kids were at an age to help, and it felt like I was going to be in that stage forever. My favorite memory of that year was the night Big Sprout lost to me in a round of “PIG” on a little basketball court. He didn’t quite know how to deal with his anger about dad being gone, and losing to mom at a game was what threw him over the edge. He threw a basketball across the street, screaming at me, and then spent the entire car ride home yelling, “I hate you poopy lady! You are the poopiest lady I know!” He ran away to the neighbors fence to commune with the cows for a bit, but he eventually calmed down enough to go to bed. I remember how distraught I was. I had so little energy to be the parent that I knew he needed, and it felt like it was never going to end. That stage for him has most certainly ended. He walked himself to the bus stop yesterday, when I had to leave a few minutes early to take Middle Sprout to physical therapy. He sets his alarm on his watch at the basketball court so that he can come home in time for dinner, and he takes seriously his dad’s instructions to be the “man of the house”. Middle Sprout has grown up a ton too. She is turning into the helpful young lady that I knew she could be. She gave Littlest Sprout her shower yesterday and has taken on her chores with gusto. I am grateful for the adjustment of the big sprouts, because Littlest Sprout simply follows their lead. However, this growth is both a blessing and a curse. Part of me is glad that the never-ending little kid stage has passed, but another part of me is really sad that it has gone so quickly. In five more years, Big Sprout will be fifteen, Middle Sprout will be thirteen and Littlest Sprout will be nine. I anticipate that the struggles will be real, but very different. I may hardly feel aged at all, but the sprouts will be. 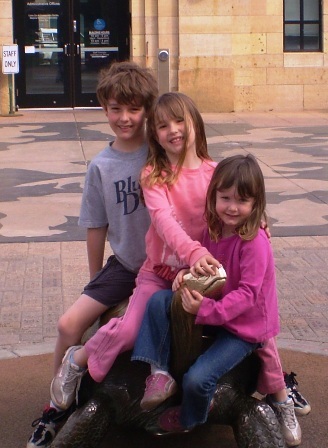 If I’ve learned anything from the seasonal reminders of how quickly these kids change, it is that I need to appreciate them no matter what stage they are in, because it too will pass…. and probably before I am ready.